Trump Taj Mahal is dead and buried. Well kind of. In the summer of 2018 this well known New Jersey casino will reopen as The Hard Rock Hotel and Casino AC. Over $350 million will go into the renovating, rebranding and upgrading of this new landmark project and it will create over 3000 jobs in the process. According to earlier reports, an agreement has been made between Hard Rock International (HRI) and the owner of Trump Taj Mahal, Carl Icahn (casino names can be tricky) to sell the dilapidated property. The sale was verified by Hard Rock on the 2nd of March 2017. 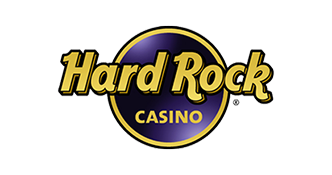 Reports since then have highlighted the fact that Hard Rock will also setting up an online gambling operation, where players bet and win actual money, which will be launched together with the physical casino. The news about the online casino has left many wondering if Hard Rock has come to the digital gambling table a bit too late to make much of an impact. In this review, we will be taking a closer look at their online casino and what it is likely to offer. Since neither the physical or online casinos have opened yet, it’s a bit hard to predict with 100% certainty what games they will offer. That being said, by looking at just how ambitious the operator seems to be, the level they wish to operate on and the games their biggest rivals currently offer, we can make an educated guess that should prove to be fairly accurate. This form of bonus has become almost mandatory in all online casinos in New Jersey and Hard Rock will almost certainly follow suit. In fact there is a good chance that they may soon be offering the most attractive sign up bonuses as they aim to establish their brand and lure players from established competition. And they are sure to take into account that they will need to come up with something amazing if they want to lure those players loyal to their current operators of choice. 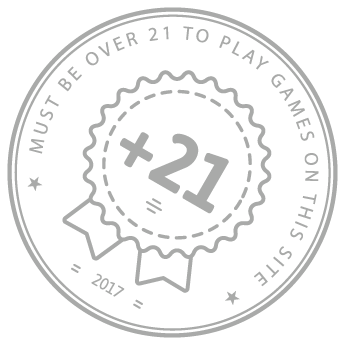 These bonuses are likely to include the industry standard No-Deposit and Deposit Bonuses as well as specific game challenges. They will also need to develop a strong loyalty program, which may also be linked to their land-based casino, to reward players who stick with them. Especially during the early days (Pro tip – we recommend signing up for this ASAP as they are likely to go all in as they build up their initial client base). Like every other online casino in New Jersey, Hard Rock Online Casino will almost certainly offer player bonus codes. By not doing this, they will be severely limiting the amount of players who would even be interested in gaming with them. In fact, to not do so would be business suicide. They will most probably launch with a few unique and highly rewarding bonus codes to grab the initial attention of punters. Once the dust settles, expect them to offer the industry No-Deposit Bonus and First-Deposit Bonus. They should also offer a 100% deposit bonus of up to a minimum of $100. We’re pretty confident that Hard Rock Online Casino will launch with their very own gaming apps and that they will be available for both Andriod and iOS operating systems. These apps need to be operational on both smartphones and tablets. In this day and age, failure to do any of the above is business suicide. While many experts have already stated that Hard Rock have left their entry into an already over-populated market way too late, we think that the delayed entry could actually work to their benefit. While many of the early players had to learn painful lessons through trial and error, with many operators having to shut down due to one too many errors, they can now look at what works and what doesn’t. In fact they have a template for success as they know what works and what doesn’t. This means that they can come in guns blazing from day 1. With all of this, and the traction that the Hard Rock brand carries, we’re expecting the Hard Rock Online Casino New Jersey to become one the big players fairly quickly.